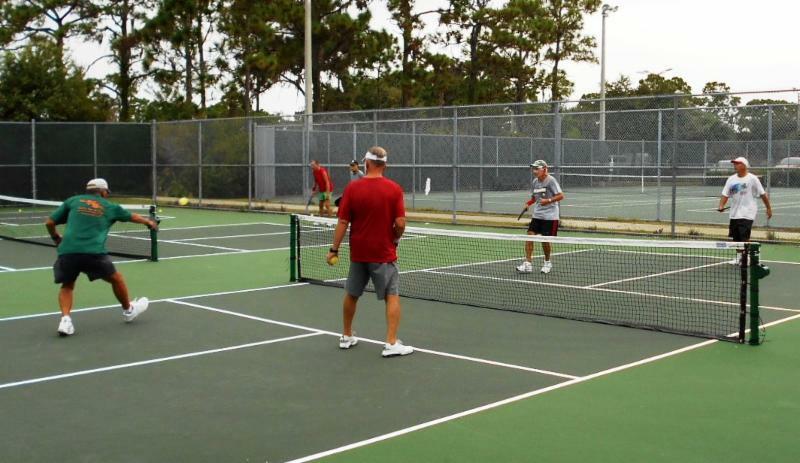 SARASOTA COUNTY – If you are one of the millions caught up in the pickleball craze, there is still time to enter Sarasota County Parks, Recreation and Natural Resources’ Fourth Annual Pickleball Slam. This year’s tournament takes place over three days at two locations to accommodate more players and skill levels. Competition will be held on the indoor and outdoor courts at the Englewood Sports Complex, 1300 S. River Road, and the indoor courts at Arlington Park, 2650 Waldemere St., Sarasota, Wednesday-Friday, March 25-27. The registration deadline is Friday, March 13. The Slam is an open-play tournament, double elimination, USAPA rules. Players may compete in up to two events; Men’s (March 25), Women’s (March 26) or the Mixed Doubles (March 27) Divisions. The cost is $10 for first event, $5 for second event.